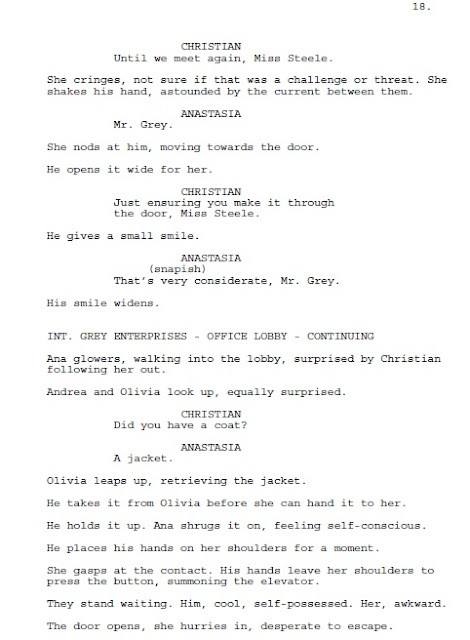 This is the last installment of the "The Interview" A Fifty Shades of Grey Screenplay by Chad from @50ShadesCasting. We'd like to extend a huge thanks to Chad for allowing us to share this with our followers. 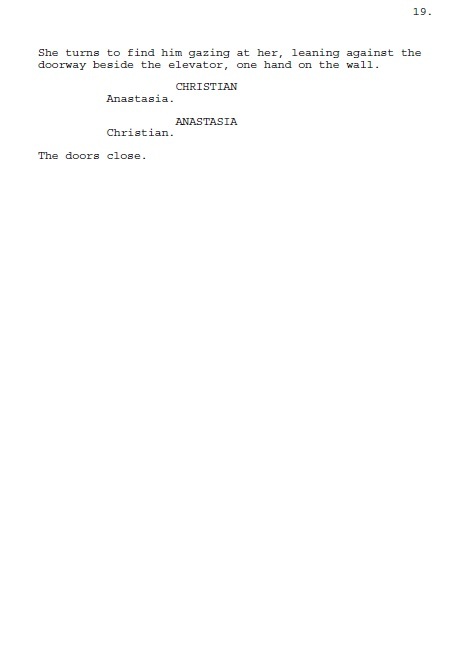 It was a lot fun reading this screenplay and wondering if our top choices for Christian and Ana will be reading something that looks like this someday soon. We hope you enjoyed reading this as much as we have. 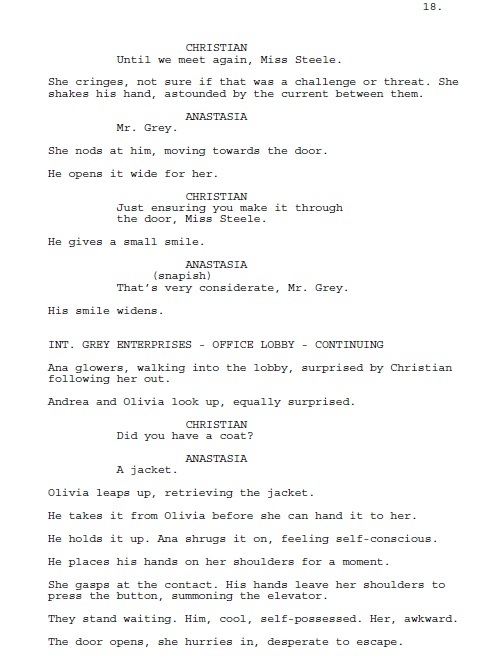 Follow us on Sulia, Twitter @FiftyShadesFilm and Like us on Facebook to receive exclusive news, updates and up to the minute information about Fifty Shades of Grey.